What are the allowable placement thicknesses for Five Star® Cementitious Grouts? All products can be extended with aggregate for deeper pours. Please refer to Technical Bulletin 105 (Aggregate Extension Guidelines for Cementitious Grouting) for additional information. What is the typical cure time for Five Star® Cementitious Grouts? Five Star® Cementitious Grouts require a 3 day continuous wet cure (exceptions are Five Star® Instant Grout and Five Star® HTR Grout) or a minimum 24 hour continuous wet cure followed by application of an approved curing compound. In-service operation of grout is best determined by achievement of necessary mechanical properties. Which Five Star® Cementitious Grouts can I use for dry pack applications? What are the concerns with placing Five Star® Cementitious Grouts under cold weather conditions? The two biggest concerns are delayed strength development and potential exposure to freezing conditions before the grout has attained a minimal “green” strength. Most Five Star® Cementitious Grouts require a minimum 24 hours above 35°F or attainment of 1,000 psi before being subjected to freezing temperatures. Is there a way to extend the working time of Five Star® Cementitious Grouts? The use of iced water and/or the addition of Five Star® Summerset set retarding additive. Five Star® Summerset is a ½ ounce of liquid set retarder that will increase the working time of any Five Star® Cementitious Grout. Up to three ½ ounce tubes may be added (add to mix water, not grout) for each bag of Five Star® Cementitious Grout. What type of pump is suitable for your material? Piston pumps, peristaltic pumps and related type pumps designed to pump sanded grouts or mortars work best with Five Star® Cementitious Grouts. NOTE: Not all Five Star® Cementitious Grouts are designed to be pumped but Five Star® Grout, Five Star® Fluid Grout 100, Five Star® Special Grout 110, Five Star® Special Grout 120, Five Star® Special Grout 150, and Five Star® Special Grout 400 are all pumpable grouts. Do I need a primer/bonding adhesive with Five Star® Cementitious Grouts? Generally no. If the concrete surfaces can be presoaked for 8-24 hours prior to grouting, a bonding agent is not necessary. Bonding agents are only useful for grouting applications where presoaking cannot be achieved. How do I read the Batch Code on your product and what is the typical shelf life? The batch code is a 10-digit number that is stamped on the bag the day of manufacture. The last 4 numbers represent the Julian calendar day and year of manufacture and the shelf life is 1 year from that date. For example: xxxxxx2003 represents the 200th day of the year 2013. Do you have DOT approval for Five Star® Concrete Repair Products for a specific state? 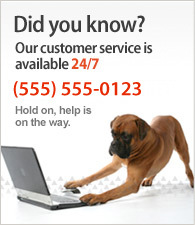 Contact Five Star Products' Technical Services for assistance. We maintain DOT approvals for certain Five Star® Concrete Repair Products based upon specifications and DOT requirements. Can I extend the working time of Five Star® Concrete Repair Products? The use of iced water and/or the addition of Five Star® Summerset additive will increase the working time but may also slow down early strength development. Contact Five Star Products' Technical Services for more details. What is the difference between Set Time and Working Time? Can I feather edge Five Star® Concrete Repair Products? Feather-edging is not recommended as this is where failure often occurs. Minimum depths for Five Star® Concrete Repair products vary from ¼ inch to greater depths depending upon loads and traffic bearing conditions. Can I extend Five Star® Concrete Repair Products with coarse aggregate for large volume deep placements? Yes. Refer to Five Star Technical Bulletin 106 (Aggregate Extension Guidelines for Concrete Repair) for more details. How thick can Five Star Structural Concrete® V/O be applied in a single lift? Depending upon the repair area geometry and size, Five Star Structural Concrete® V/O can be applied in lifts of approximately ½ to ¾ inch. Additional lifts may be applied by immediately scoring the surface of newly placed material in a checkerboard type pattern, than allowing it to stiffen just enough to hold another lift. Do I need to use a primer/bonding adhesive with Five Star® Concrete Repair Products? A primer or bonding agent is not required with Five Star® Concrete Repair Products provided the substrate has been mechanically roughened and properly presoaked. However, Five Star® Bonding Adhesive may be used on dry substrates (where presoaking cannot be accomplished) or to further enhance bond development on large overlays. How soon can I apply an epoxy coating to Five Star® Concrete Repair Products? Moisture sensitive coatings can typically be applied in 8-24 hours depending upon the product and curing conditions. Refer to the moisture requirements from the coating manufacturer and contact Five Star Products' Technical Services for more detailed recommendations. Which Five Star® Epoxy Grout has the highest temperature resistance? Five Star® SP Epoxy Grout and Five Star® Rapid Epoxy Grout are both acceptable for use up to 250°F. Can I reduce the aggregate to improve the flow? Five Star® DP and Five Star® HP Epoxy Grouts are designed for aggregate reduction and have published physical properties based upon a specified aggregate reduction (using 4 bags of aggregate instead of 5). Other Five Star® Epoxy Grouts such as Five Star® DP PG, Five Star® SP and Five Star® Rapid Epoxy Grout do not allow for aggregate reduction. How do I mix Five Star® Epoxy Grouts? All Five Star® Epoxy Grouts (except Five Star® Fluid Epoxy) are 3 component systems consisting of 2 liquid components (Resin & Hardener) and an aggregate component. The two liquid components need to be combined and mixed first using a SLOW speed drill with paddle attachment. Once the liquids are thoroughly mixed (no streaks or color differentiation) they are placed in a mortar mixer (not a concrete or cement mixer). With the mixer running the appropriate amount of aggregate is then added and mixed until the aggregate is completely wetted with the liquids (approximately 2 minutes). We are getting low compressive strength test results on our project. What could be the cause of this? Refer to Technical Bulletin 110 (Proper Testing of Epoxy Grout). Most often a cause for low breaks is that the compression tester being used is not set up to break epoxy grout cubes. The load rate, as Specified in ASTM C 579, is mandatory for getting an accurate break result (Load rate II in ASTM C 579 or 0.25 inches per minute x specimen height). Any other load rate will not result in a “true” break and often result in lower strengths being reported. I have very tight clearances; do you have an epoxy that can flow into tight spaces? Five Star® Fluid Epoxy can flow down to 1/8 inch clearance and Five Star® Rapid Epoxy can flow down to ½ inch clearance. Both products have limitations in terms of total volume that can be placed due to a higher exotherm. Can any Five Star® Epoxy Grouts be pumped and if so what kind of pump is required? Five Star® DP PG and Five Star® SP PG can be pumped using a peristaltic pump. Standard everyday grout pumps designed to pump cementitious grouts will not work with epoxy grouts. I would like to mix a small amount. What are the proportions? It is not recommended that our material units be proportioned to smaller mix quantities. If this is absolutely necessary, contact Five Star Products' Technical Services and we can provide volumetric proportions (this cannot be done by “eyeballing”). For small volume pours, Five Star® DP Epoxy Grout is available in a .44 cu ft unit. If you haven't found an answer to your question, please contact Technical Support at 1-800-243-2206 (in the US), or +1 203-336-7900 (outside the US).